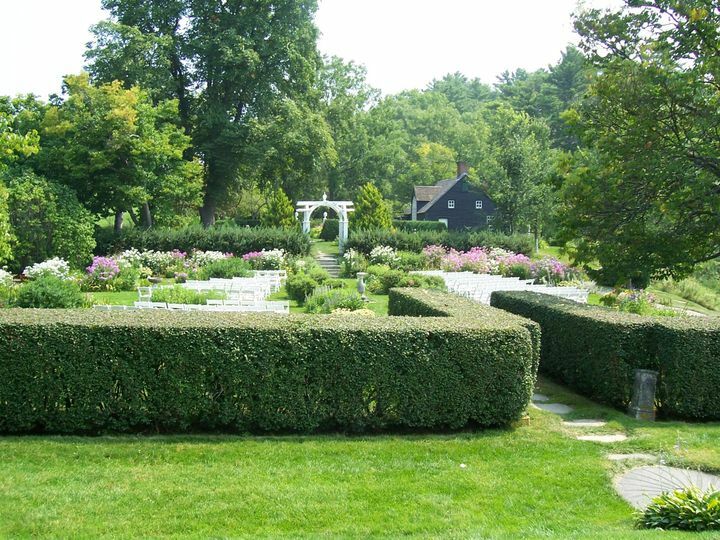 Hamilton House Gardens is an outdoor, historical New England venue located in South Berwick, Maine. 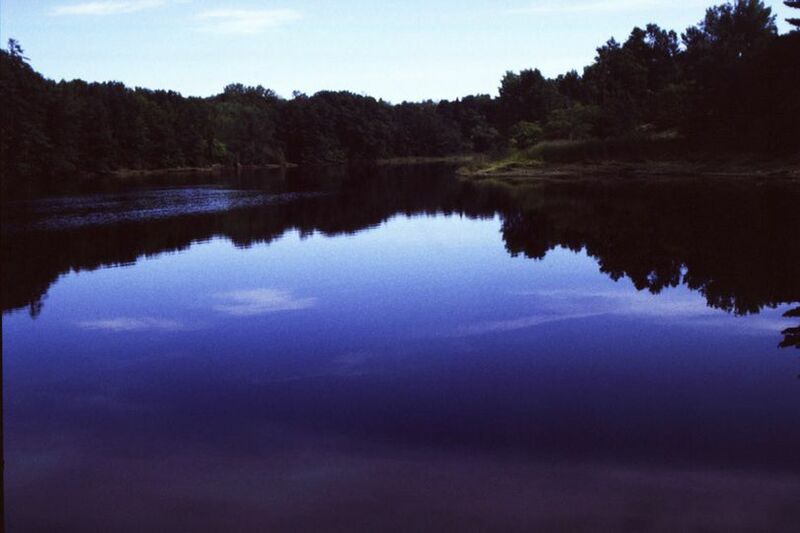 Hamilton House, built in 1785, is set on the Salmon Falls River. The features of this venue were created by a mother-daughter team in 1898. 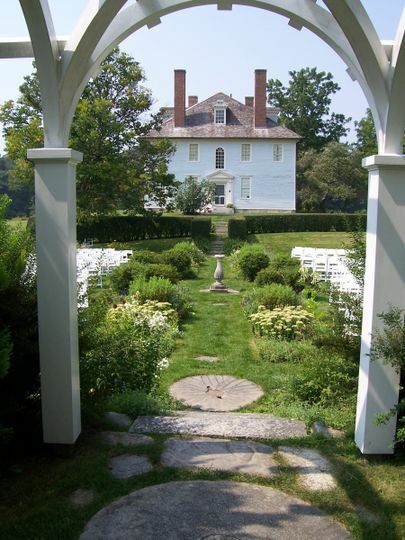 The current owners have kept up its beauty as it now hosts ceremonies and receptions for up to 150 guests. 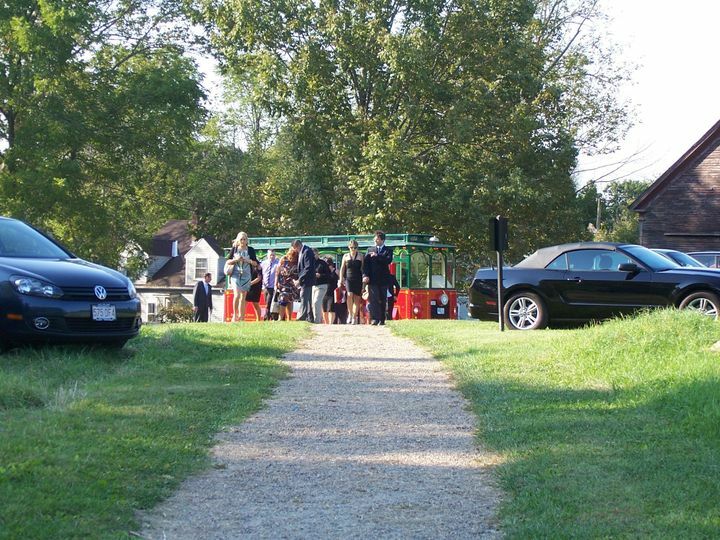 With two outdoor venues, this site is perfect for couples looking for a natural, yet picturesque, location. 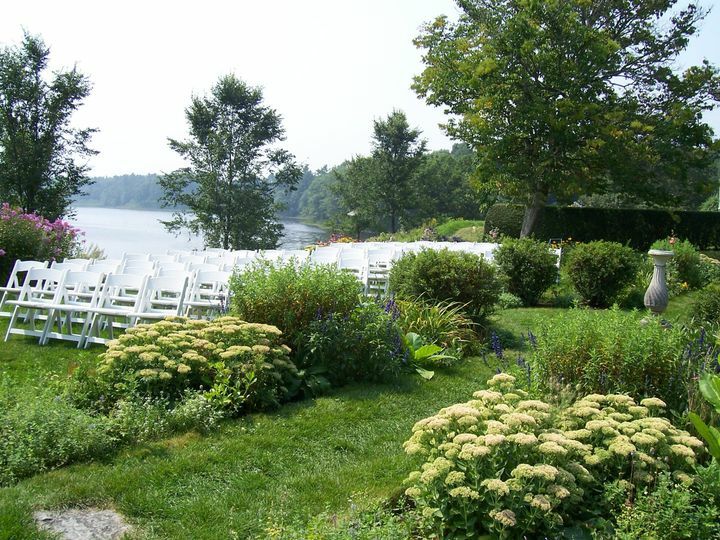 Couples can hold their ceremony in the garden or on the shores of the Salmon Falls River. 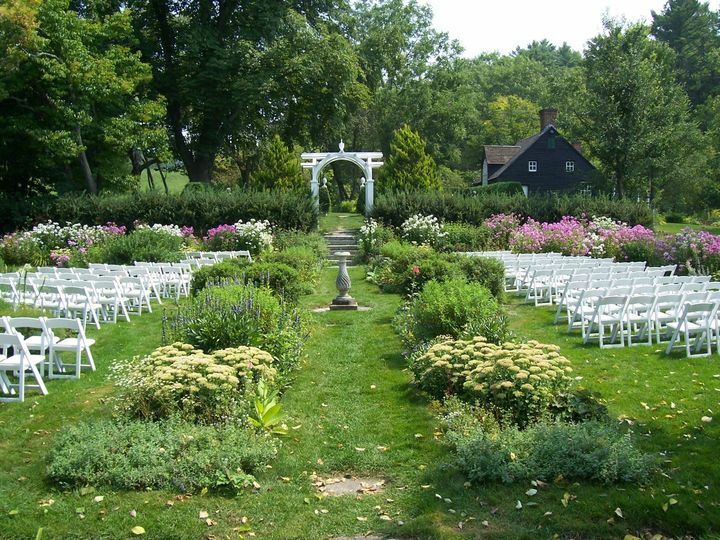 Featuring scenic lawns and meadows, couples will not be short on pictures they want to share. 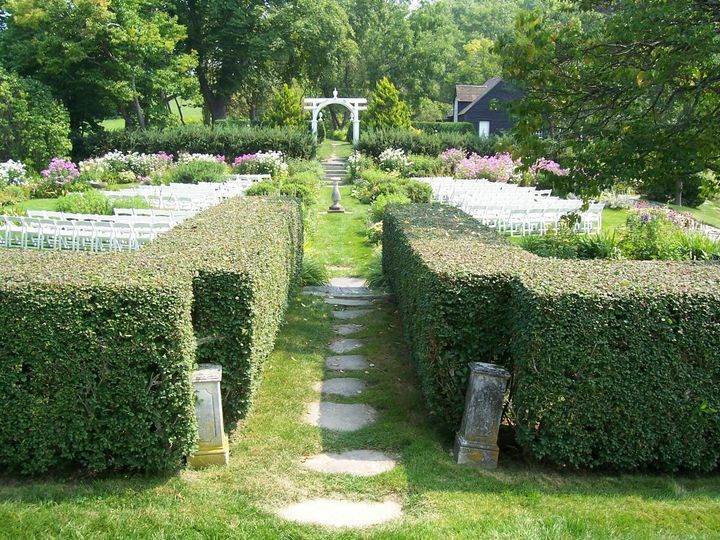 This is an absolutely gorgeous spot for a wedding. 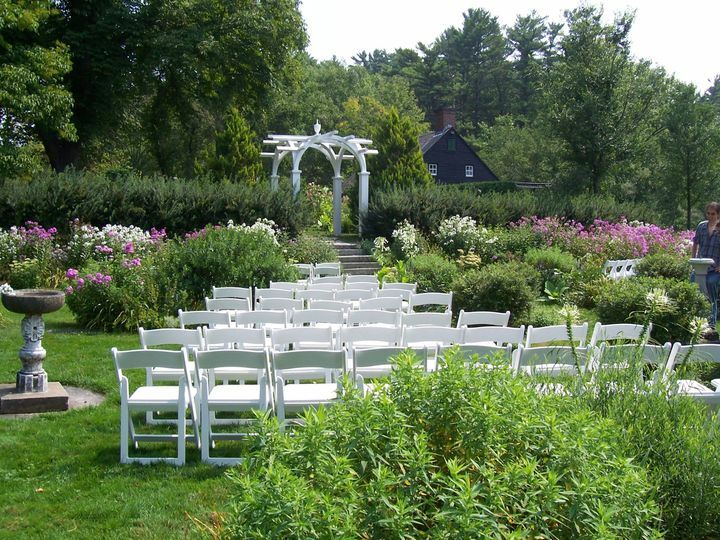 You simply can't beat the location, on a bend in the Salmon Falls River with the historic house itself and its stunning gardens as a backdrop. Peggy, the site manager, is a peach to work with - just a really lovely person, as well as being responsible and responsive. Hamilton House is a beautiful location! Between the house, the river and the garden we felt we got it all! This gorgeous place makes for a challenging catering event and it is a little DIY as you'll have to rent everything, except restrooms. Communication with Historic New England was patchy at first but in the days leading up to our wedding they were attentive. There was a ton of rain right before our wedding so the area under our tent became swampy. Even with the rain and mud, Hamilton House was still a perfect location for us! Highly recommend! My husband and I chose the Hamilton House, because we frequently explore the grounds and the neighboring Vaughan Woods. It's beautifully scenic, overlooking the river, with period gardens. An absolutely gorgeous place. We also liked the idea of renting a location where our money will be well spent on preservation. I dealt with 4 people over the 11 months before our wedding. The first 2 people we dealt with were wonderful (Sharon and Bridget).. Several months in, a man named Bill took over. His contact, all via email, was slow, and it seemed he hardly read/processed my inquiries before sending in a careless reply. For example, he asked several months, before the event, what our timeline was. I replied with a "prospective timeline" and that nothing was set in stone. He replied that it was an hour over the allotted contract time and he'd send me a $400 bill for an additional hour. PROSPECTIVE. Then, we organized a site visit with my tent company and caterer to decide where to put the tent. He was sick, didn't attend, the site wasn't mowed so we could barely see the land and when I sent him the idea of where we wanted the tent, he sent back an PDF that showed the one place the tent could go... What's the point of the sitewalk if there's only one site available?!?! What a waste of everybody's time. The weekend before our wedding, my husband and I went by the grounds. There was a couple there (I can't remember their names!). He was the grounds keeper and she was the events coordinator. They were STELLAR. They showed us where they'd park the cars, where the tent would go, and even made themselves available to us for questions as our date approached. I wish I worked with them from the start. In the end, we are 100% happy with the value we got for our money, and 80% happy with the customer service. If we didn't have to deal with Bill, we'd have given this 5 stars. - Working with Bill was a pleasure. Just after we started planning our event, Bill took over in the role and quickly proved to be highly competent, responsive, friendly, and helpful. - Bill was great to work with. Very responsive to all of my questions! 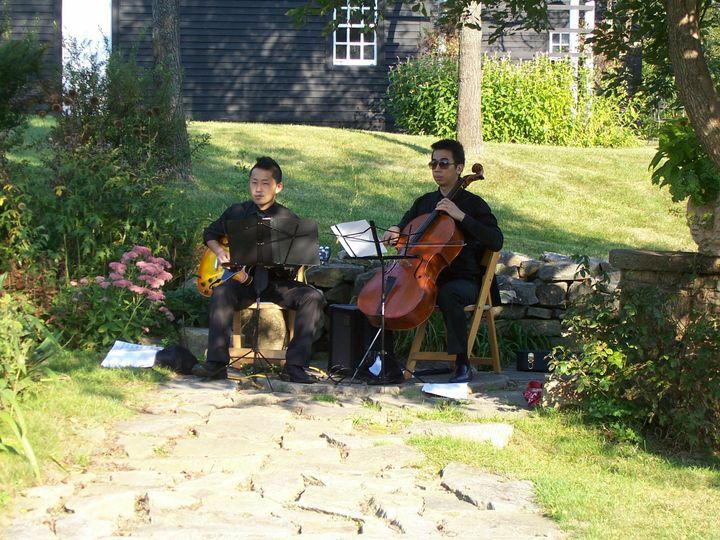 - Our wedding was early August and we were very lucky to have a beautiful hot day. We rented a tent to set up next to the carriage house for shade and in case of rain. I loved that Bill Blanchfield, the functions manager, was experienced and understanding.